1932 election against Franklin Roosevelt. Austin, leaving Eastport at 1:00 P.M. and arriving in Boston 10 A.M.
organizations from the St. Croix Paper Company. decided to attend a convention is Bangor and return the same night. 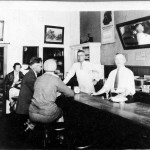 The interior of a local restaurant in 1930. We know it’s 1930 because the Grearson’s calendar on the wall says 1930. We think this may be Ryan’s Lunch at the corner of Church and Main Street. 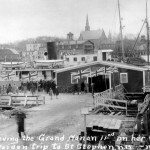 The newly built steamer Grand Manan at the St Stephen pier on its maiden voyage in 1930. Built in St John it was 152 feet long with a 32 foot beam and a speed of 14 miles per hour. The crew was normally 14. Across the river in the photo is Calais, the church steeple dead center is the old Congregational Church. To the far left is the Red Church, later the Methodist which was recently demolished. Although locals began lobbying for a new bridge in 1930, it didn’t actually happen for 25 years. 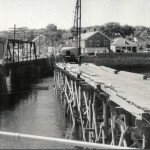 This photo shows the new Ferry Point Bridge under construction in 1956- note the new bridge is slightly upriver from the old steel bridge. The U.S. Customs is rear center. 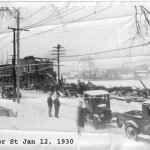 The St. Stephen fire of 1930; Calais is visible in the background. 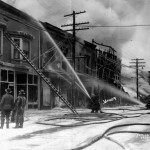 Firefighters in St. Stephen try to save the downtown buildings in 1930. 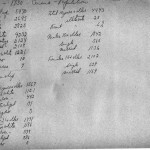 Calais census figures for 1930- it is interesting to note that less than half of population in 1930 had native born parents. Calais was still a largely immigrant community. 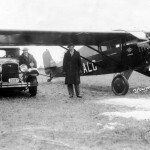 A rare General Airplane Corporation airplane, the Aristocrat, as seen in St Stephen in 1930. 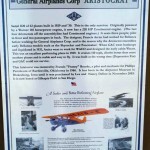 More information on the Aristocrat airplane.